When you need quality and reliable cleaning professionals in Prince George you deserve a company that is dedicated to putting you first. Xtreme Clean has built a fantastic reputation from the extra care and attention to detail that you deserve. At Xtreme Clean, we take pride in doing the best job for our Prince George customers. We realize that the only way to continue to grow is to make sure the job is flawlessly done right. Word of mouth is the best way to promote our business. We don't look at your property as just another stop on our list. We take each job as an opportunity to prove to our customers that they made the best choice by hiring us. 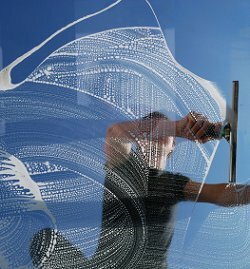 Our professional window cleaning technicians leave your windows streak free. We carry all the tools and equipment to make sure no window is missed. When you invite Xtreme Clean into your Prince George home, we will always treat it with care as if it were our own. Our professionals use extra care when moving your items away from the windows and will never leave a mess behind. See why our customers only trust Xtreme Clean in their home to make sure the job is done right!